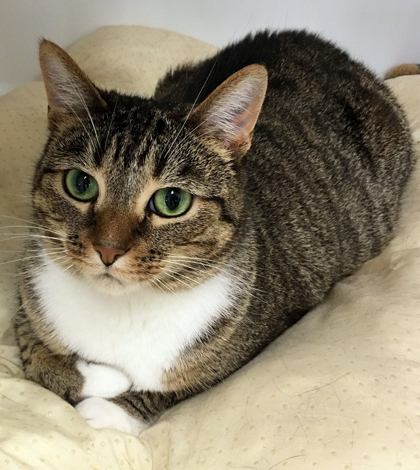 Dumpling is a pretty one-year-old tabby with striking green eyes. She likes to be petted and get belly rubs but not thrilled about being picked up. Dumpling would love a quiet home of her own. Visit Dumpling at the shelter or call Helping Strays for more information at 618-939-7389.